You see something new every day...this bolt was the third lead bolt on Fine Line at San Ysidro (also the third bolt on Ricks Route). The 20+ year old bolt appeared to be a 3/8" wedge bolt with heavy corrosion--both appearances proving true. Upon removal, the surprise was that the bolt is only 2.25" long. 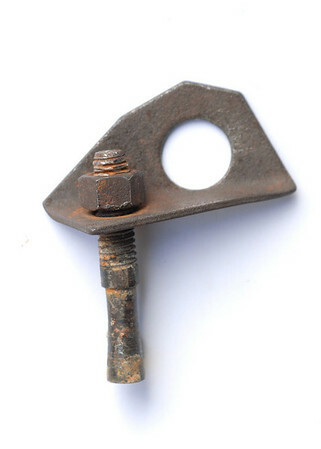 Currently the shortest wedge bolt (of those made for climbing) is 2.75" long. Once tightened, this little beauty had fewer than 1.75" of metal inside the rock.